Soft robots are a promising technology for fine interactions with delicate objects, unstructured environments and humans. Inspired by plants, researchers from the Istituto Italiano di Tecnologia (IIT) have developed the first soft robot mimicking plant tendrils. The robot is made of a flexible PET tube, and it can curl and climb, using the same actuation strategies the plants do. The main physical principles determining plant’s movement is osmosis that is exploited by plants to change intracellular turgor (pressure). Varying turgor, plants finely change their stiffness and achieve macroscopic movements. Osmosis is meanwhile determined by osmolyte gradients in plant cytosol. Controlling osmolyte concentration, plants can reversibly change turgor. 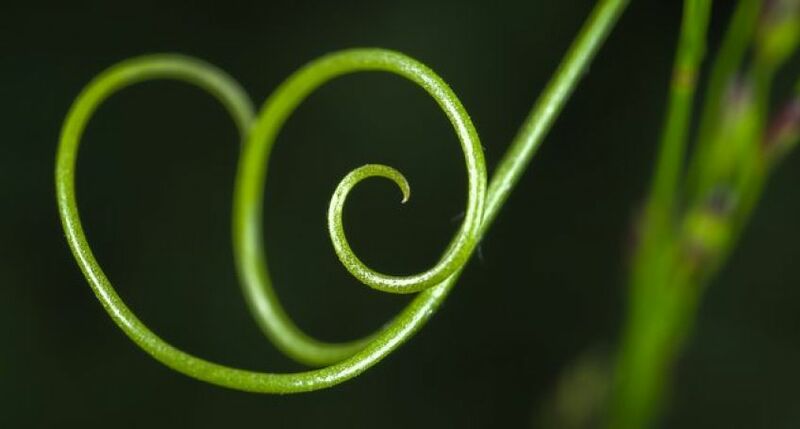 The researchers have made their soft robot similar to a small plant tendril. It was filled with a liquid with some small particles – ions. When the researchers connected the artificial tendril to a 1.3 Volt battery, these ions were being immobilized on the surface of flexible electrodes placed the bottom of the tendril. Movement of the ions caused the movement of the liquid inside the robot, and the movement of the liquid caused the movements of the robot. To reverse those movements, it was enough to disconnect the electric wires from the battery and join them. These findings were published in Nature Communications on January 21, 2019. The research team is led by Barbara Mazzolai, who coordinated the project “Plantoid” in 2012 and was listed among the 25 most famous women in robotics in 2015. B. Mazzolai specializes in biology, and has got PhD in microsystems engineering. The team also includes Edoardo Sinibaldi, an aeronautic engineer with a PhD in applied mathematics, Indrek Must, who is an expert in materials technology with a PhD in engineering and technology. Possible applications of soft robots are range from wearable technologies to the development of flexible robotic arms for exploration. The challenge of imitating plants' ability to move in changing and unstructured environments has just begun.